The living room is one of the rooms in our house that, I feel, needs the most work. The room originally came with ugly forest-green carpet that just made the room look cold and dark. 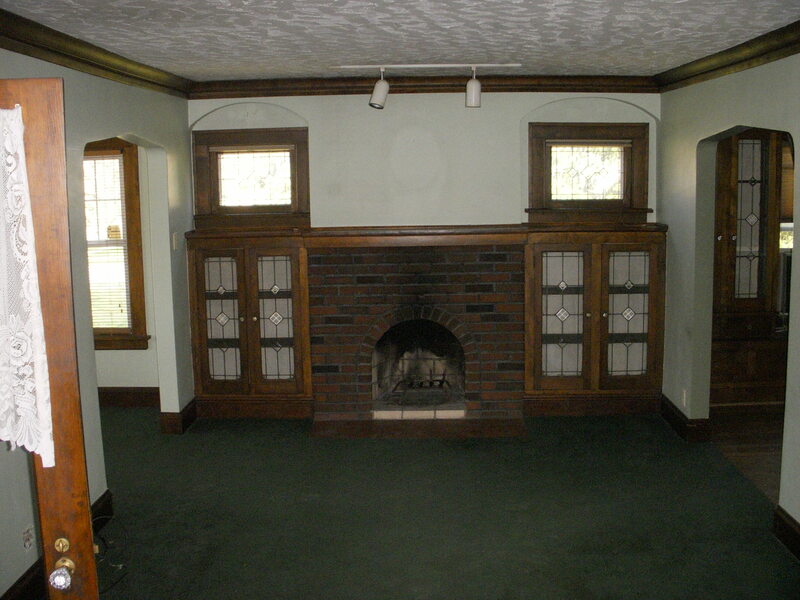 The fireplace needed some work, and maybe a good clean, and the light fixtures were dated and broken. One thing we need to figure out is the layout of furniture. The multiple entryways and lack of wall space really limits our choices so its difficult to find furniture thats both functional and fitting for this space. We’ve made a few changes worth noting at this point. For one, we removed the carpet and refinished the floors. We updated the track lighting above the fireplace, as well as on the opposite wall (in the photos at the bottom of this page). We would have removed these all together and installed recessed lighting but we didn’t have the time or budget to get that involved with the electrical (at this time). We painted the walls “Balanced Beige” by Sherwin Williams but I think we’re going to take them a shade lighter and paint them again. 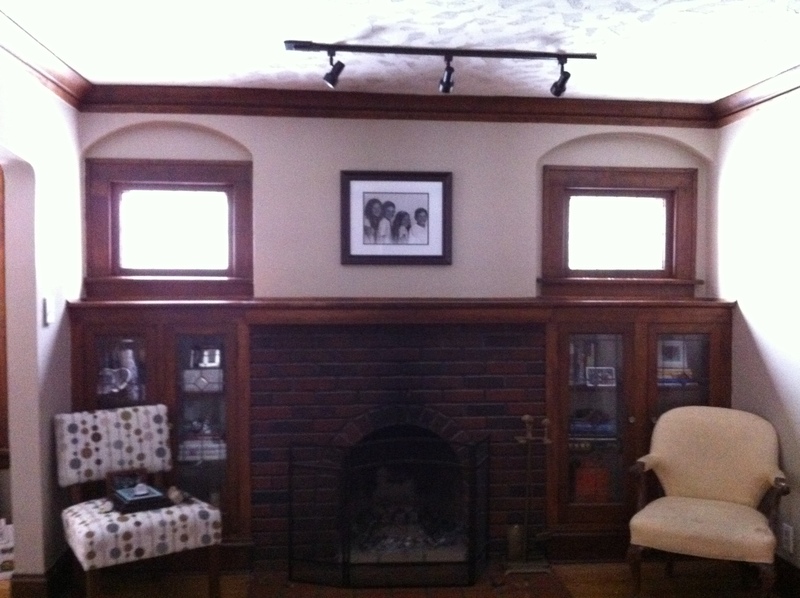 First, though, we’ll paint the trim white to match the rooms in the rest of the house…then we’ll decide on a wall color. The chairs are just temporary until we figure out what pieces to buy. A good clean is in order!! The Fireplace Tile- needs work! Follow TheSavvyBee’s board Living Room on Pinterest.